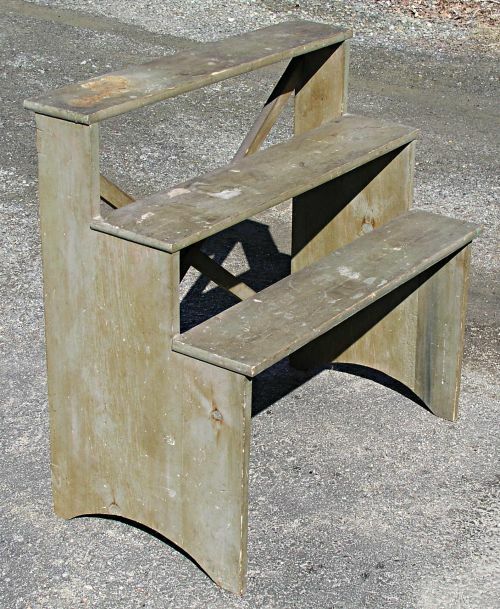 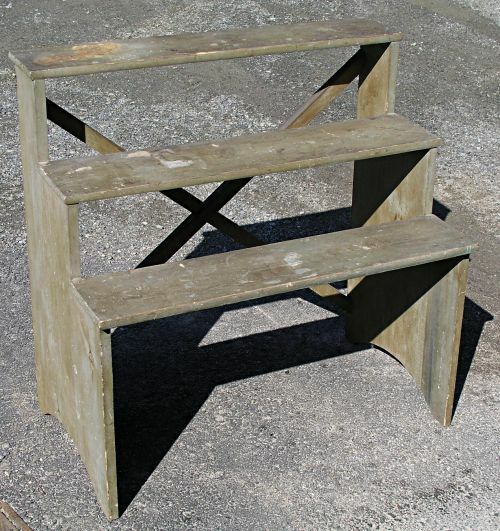 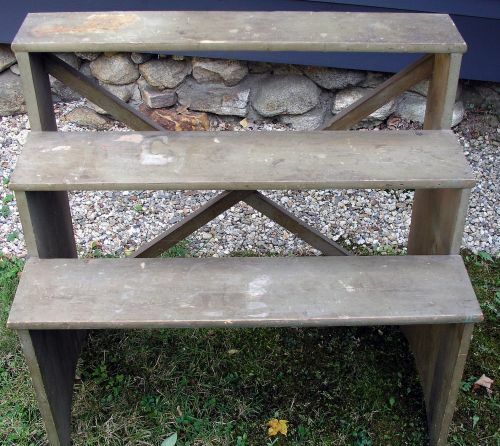 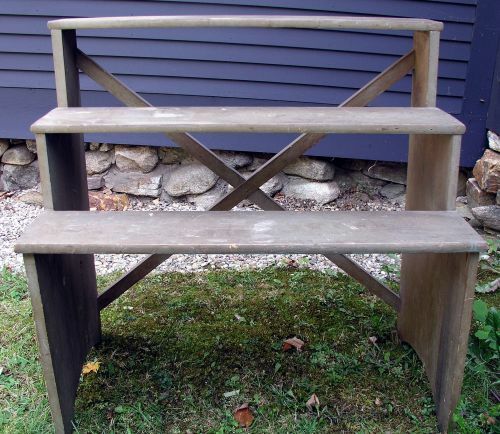 19th Century painted three shelf bucket bench. 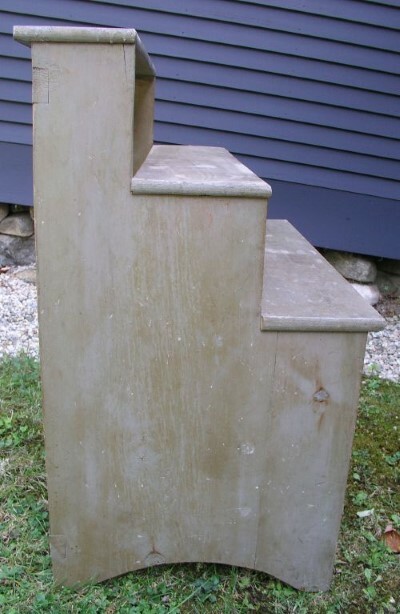 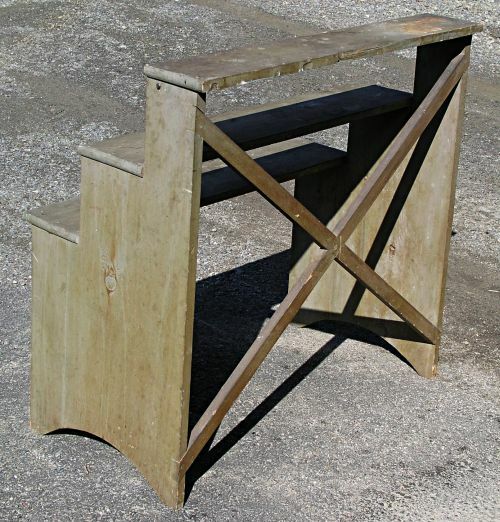 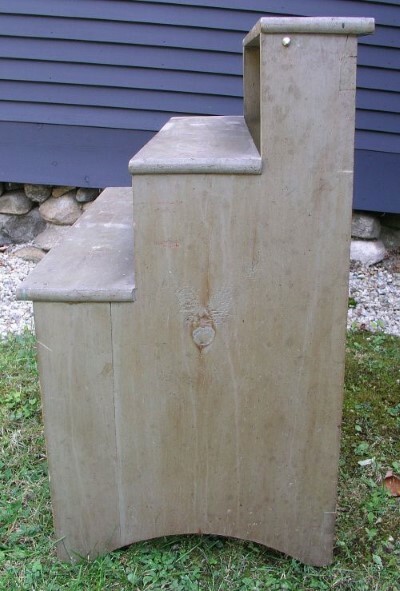 Dry painted surface with square nail construction and cross braced back. 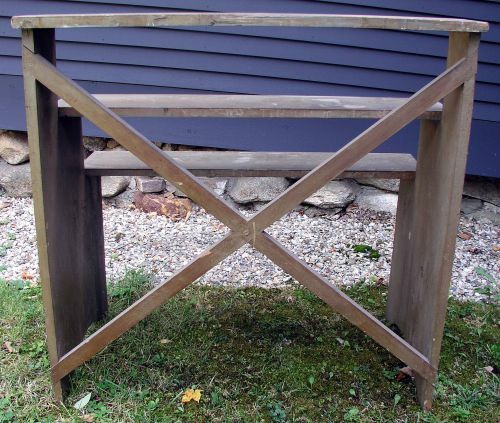 Dimensions: Measures 33" wide X 33" tall X 17 1/2" deep.